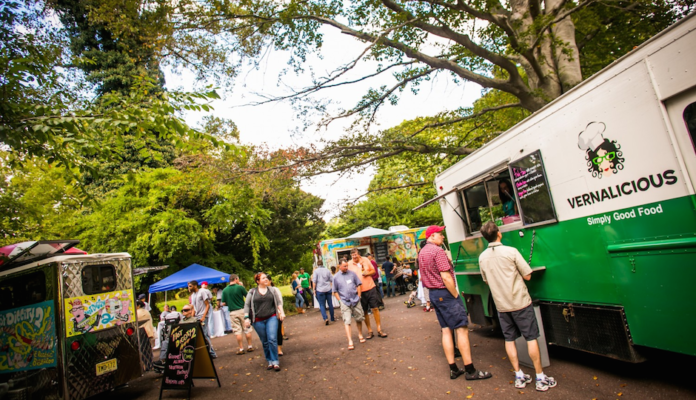 This week Franklin Square ends its summer long “Things on Thursdays” series with a pre-Labor Day weekend pop-up beer garden and food truck festival. Food Truck Festivus will include some of the city’s best meals on wheels, like Little Baby’s, The Grill Cheese, Farm Truck Philly, and The Cow and the Curd. There will also be a beer garden with suds available from Fette Sau. When you’re not munching and guzzling, take part in a series of free games that will be taking place around the park, stuff like volleyball, horseshoes, badminton, and of course there’s always mini-golf and a carousel. There won’t be many more opportunities to frolic outdoors in shorts and tees, so enjoy it while you can. Food Truck Festivus takes place Thursday, August 28th from 6 p.m. t0 8 p.m.